Real Madrid yet again. failed to score, as their recent goal drought spread to the UEFA Champions League on Tuesday night. The defending champions succumbed to a 1 nil defeat to CSKA Moscow at the VEB Arena on matchday 2 of the competition, effectively throwing the group wide open. If anyone had dismissed the last few average, and poor performances as one-offs, this is surely an eye-opener, regardless of the players who were absent from the squad. Julen Lopetegui will surely have fingers pointing at him as Real Madrid are on some sort of a nightmare run presently. This is was the first time that Real Madrid have failed to score in 3 consecutive games since the 2006/07 football season. It was also the first time that Los Blancos had failed to score in 30 UEFA Champions League matches. This is obviously not the kind of stats that Lopetegui will be looking to create as Madrid boss. The question that many would like to avoid is this? Are they missing Cristiano Ronaldo? It was always going to be a tough trip in the absence of Isco, Gareth Bale, Marcelo, and Sergio Ramos, as these players have offered Madrid significant support in attack. However, they are on a poor run that has seen them fail to score in 2 consecutive games before the trip, and it’s now just 1 goal in 4 games. Julen Lopetegui definitely has his work cut out for him to restore confidence and belief to the side, and also ensure they start firing from all cylinders sooner, rather than later. His Madrid team have shown some lapses in concentration in the opening moments of recent games. It could be recalled that Sevilla capitalized on this and were 3 up before halftime at the Ramon Sanchez Pizjuan. 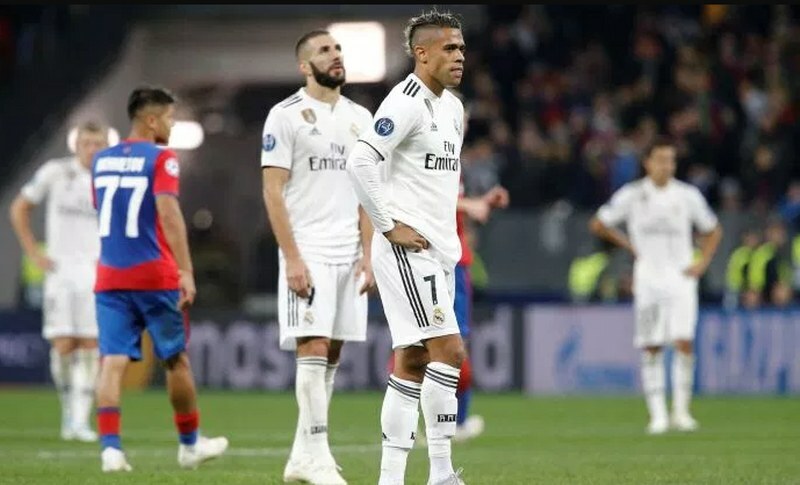 This time, it was worse, as CSKA Moscow took the lead with just 2 minutes into the game, and that was enough to seal all 3 points against a Madrid side that can’t score to save their lives recently. Worse still, was the fact that the goal was due to poor awareness on the part of Toni Kroos whose attempt to half-volley the ball back to Keylor Navas was read and intercepted by Vlasic who scored. It’s a must win game! But first, they have to score. Therefore, it ultimately boils down to how Lopetegui sets out his team to approach the game, and also how he motivates them to be ready for the fixture and put every chance away. I wouldn’t want to be in Lopetegui’s shoes presently. These are indeed tough times for the Madrid boss, and it’s still very early into the season. Hopefully, he and his team get it right this weekend.